Guernsey is a beautiful place - with stunning beaches and historical landmarks. Its capital St Peter Port is a bustling harbour town, a fine mix of architectural styles with plenty of boutiques, bistros and restaurants to satisfy most tastes. If you want to be based here, then our pick of the best places to stay in Guernsey are mostly located in St Peter Port, plus we''ve found a couple a few miles outside the town. Picking the right one depends on whether you want to be in centre of the action, or in a quieter spot just outside. Guernsey is not all about beaches and sightseeing. Many come here to sample its fantastic food. As well as a wealth of seafood landed every day, the island grows a wide variety of vegetables and fruit and hosts an annual festival in the Autumn (The Tennerfest Food Festival) when many of the restaurants offer special deals and excellent value menus. Be sure to pay Hauteville House a visit. The home of author Victor Hugo during his 15 year self-imposed exile on Guernsey, this wonderfully eccentric spot retains all of the original features and furnishings. Learn all about his life with the aid of an informative guide, and you can enjoy terrific views over St Peter Port. The small but fascinating German Occupation Museum is another great spot. Their varied collection of artefacts gives visitors an in-depth insight into what life was like on the island during the Nazi wartime occupation. Candie Gardens is the ideal place to enjoy an afternoon picnic. This beautiful 19th-century garden offers splendid views over the harbour as well as including a café, a museum, art galleries and a library. Head off on a walk through Saumarez Park with the whole family. This lovely park features a large pond and a playground for kids, as well as a café to stop off at if you fancy a bite or a refreshment. With a Japanese garden as well as a Victorian walled garden, this is a wonderful spot. Remember, if you're coming in peak season then be sure to book ahead - the best places to stay in Guernsey often get pretty busy at this time of year. 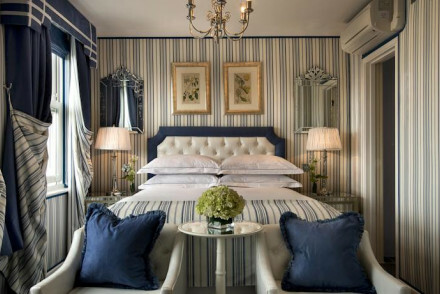 The Duke Of Richmond offers seaside opulence with plush rooms - filled with elegant furniture and glamorous wallpapers. It may not seem like a classic family stay, but the range of games and puzzles for kids as well as an outdoor play area makes this a spot that everybody will enjoy. St Pierre Park Hotel & Golf Resort offers smart accommodation decorated in a classical style as well as garden suites with their own hot tubs. Make use of their nine hole golf course before enjoying a pampering session in their extensive spa. A top spot. 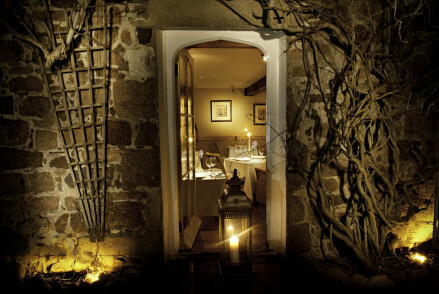 Bella Luce is a small hideaway set in a converted Norman manour house outside St Peter Port. This luxurious property offers tasteful individual rooms with plenty of dark hues, whilst there's also a superb spa to take advantage of. 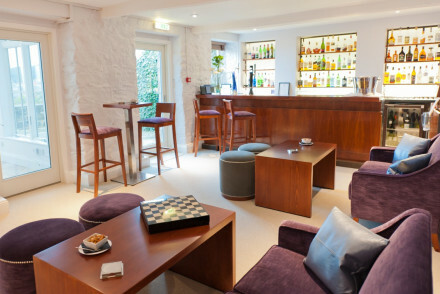 Enjoy an evening tipple in the cosy Garden Room Bar. Old Government House is a historic townhouse in St Peter Port. This elegant 5* property, (the only one on the island! ), boasts grand decor and sumptuous furnishings as well as two AA rosettes restaurant. Unwind in the spa or by the pool after a day out exploring the area. Timeless class. Le Fregate, also located in the heart of St Peter Port, is a stylish contemporary spot featuring rooms offering private balconies with tremendous views. What's more, there's a splendid restaurant specialising in local produce. Hotel Ziggurat is just a three minute walk from St Peter Port's Market Square. This Moroccan-inspired property boasts small but cosy rooms with plenty of red and black decor, as well as a large terrace and lovely gardens with beach huts. Their dining room serves up Moroccan and Persian cuisine if you fancy something a little different! The best time to visit Guernsey is over the summer months, from May to October, with the hottest month being August - experiencing an average temperature of 17°C. However, expect to pay more for accommodation as this is peak season. Visitors from the UK can fly into Guernsey Airport which can be reached by a variety of domestic destinations (London, Exeter, Southampton, Manchester and Cardiff, among others). If you're travelling from the airport to St Peter Port then you can take the bus number 71, 93, 94 or 95 to St Peter Port terminal. Alternatively, a taxi will cost you just £10 and is the easiest way to get to and from the airport. Can't find what you're after from our list of the best places to stay in Guernsey? A warm and friendly Moroccan-inspired hotel offering great value for money in St Peter Port - located at the top of the old town steps. Small but cosy rooms, eleven with balconies. A large terrace boasts beautiful sea views & there's a garden with beach huts - perfect for a private get-together. Sights nearby - It's a three minute downhill walk to the town's Market Square. Full of character - Moroccan-inspired, with red, black and white decor. Opulence abounds at this fine seaside hotel on the island of Guernsey. Plush rooms are decorated with ornate furniture and glamorous wallpapers. The trendy Leopard Bar and Restaurant is inspired by African influences and is a great place to enjoy an evening cocktail. A blissful island hotel. Families - A whole range of entertainments available for children including games, puzzles and outdoor play equipment. Romantic Break - A charming spot for a romantic weekend on Guernsey, just ten minutes walk from the beach. Sights nearby - Historians will enjoy visiting the Guernsey loophole towers and remnants of German fortifications from WWII. Sailing - The perfect port of call for a sailing trip around the Channel Islands. 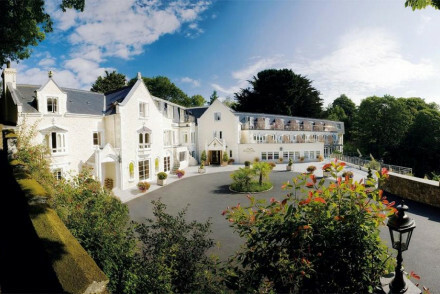 Resort hotel just outside St Peter Port with top notch facilities including nine hole course designed by Tony Jacklin. Excellent spa if pampering is more your thing, plus garden suites with private hot tubs. Great walks - Explore the extensive grounds or walk or run round the "Trim trail"
Small luxury hideaway hotel in a converted Norman manor house just outside St Peter Port. Individually styled rooms, state of the art spa and fine dining attract well heeled guests. A luxury hotel boasting a spectacular position overlooking beautiful countryside and just a short distance from the coast. Elegant rooms are light and airy with soft hues, coastal artwork and indulgent bathrooms. 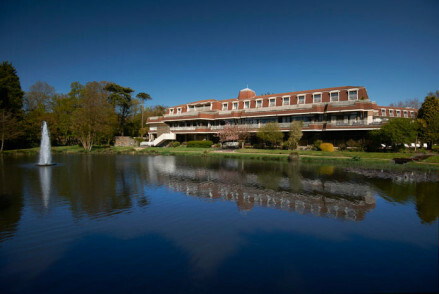 A fabulous restaurant, tranquil grounds and indoor pool make this a relaxing stay. Total relaxation - An utterly tranquil spot on the coast of Guernsey. Sights nearby - Make a trip to see the fascinating Castle Cornet and its adjoining museum. Great walks - Take long walks through the surrounding countryside and along the coast. 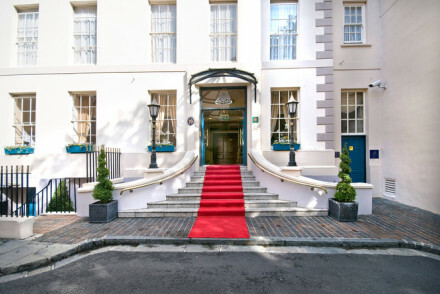 Historic townhouse hotel in St Peter Port, with a clubby feel - grand, with sumptuous, even theatrical decor. 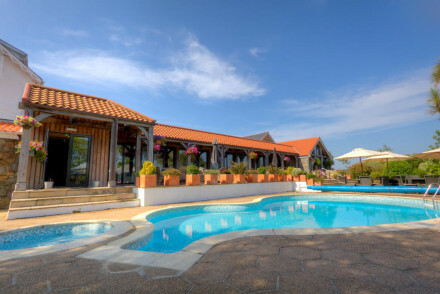 Fine dining, outdoor pool and spa, and brasserie. A good choice for a luxury stay in town, close to the action. Restaurant - Two AA rosettes. A luxury property perfectly mixing the charms of tradition along with contemporary style. Elegant rooms are spacious and airy with floor to ceiling windows, oak beams and indulgent bathrooms. A fine dining restaurant, outdoor pool and very friendly service make this a memorable stay. 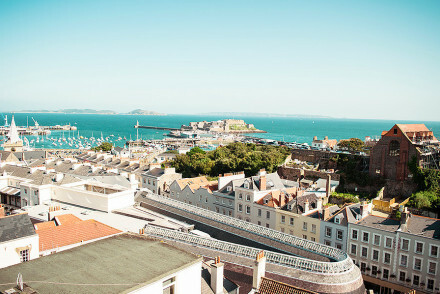 Local exploring - A luxurious base, with a central island location, ideal for exploring all that Guernsey has to offer. Great walks - Take long walks through Guernsey's picturesque countryside and along the coastal path. Sights nearby - Visit the fascinating and historic Castle Coronet and its surrounding countryside. Stylish contemporary hotel boasting good harbour views to Herm and Sark, in the heart of St Peter Port. Most rooms have balconies. Good restaurant. Excellently located for town and beach.